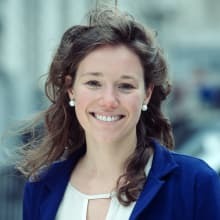 As an EU Member State, Belgium has implemented EU energy legislation and organised liberalised electricity and natural gas markets where (unbundled) grid operators are obliged to grant non-discriminatory third-party access to producers, suppliers and off-takers, and which are overseen by a regulating authority. Belgium is also a federal country where legislative powers over energy matters and policy are distributed among the federal and regional governments. The federal government is responsible for legislation regarding large energy production, large energy storage capacities, nuclear energy, offshore energy, transmission of electricity and gas, including transmission tariffs, retail energy prices and competition in the energy market. The regional governments enact legislation for renewable energy, energy efficiency, distribution of electricity and natural gas, and distribution tariffs. All governments ought to cooperate on the implementation of Belgium's long-term energy policy and the shift to a clean energy economy. In 2003, Belgium decided to phase out its nuclear energy by dismantling all seven nuclear power plants after 40 years of operation. This means the last nuclear power plants will stop producing power in 2025. Despite this decision, nuclear power plants still account for roughly half of Belgium's power production, and little efforts have been made so far by the market or the government to construct alternative power-generating plants. All of the different Belgian governments are currently negotiating an 'energy pact', which would (finally) result in a long-term energy policy for Belgium and facilitate the construction of gas-fired power plants and renewable energy installations (including offshore wind farms) to replace nuclear energy. As a transitory measure, extending the lifetime of the two youngest nuclear power plants is considered – yet heavily debated. The regulatory structure in Belgium is rather complex. This is most likely because of its federal government structure whereby one single national regulatory authority does not exist. Instead, regulatory responsibilities are distributed among the federal regulating authority, the Commission for Electricity and Gas Regulation (CREG), and the three regional energy regulating authorities: the Flemish Regulator of the Electricity and Gas Market (VREG) for Flanders, the Brussels Energy Regulator (BRUGEL) for the Brussels Capital Region and the Walloon Commission for Energy (CWaPE) for Wallonia. These authorities are all independent: they are independent from all market players and policymakers, from which they may not receive any direct instructions. Despite this independence, they do, however, have to comply with general policy choices. The core competence of these regulators is grid tariffs. They set the tariff methodologies and approve the grid tariff proposals from the grid operators. In doing so, they must consult stakeholders. The regulators can also impose administrative fines on market players that do not comply with energy legislation. 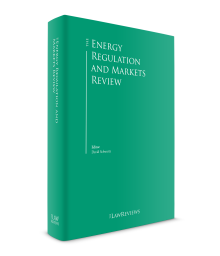 Energy regulators principally have an ex ante market regulation function; while ex post market regulation (such as actions against cartels or abuse of dominant market positions) is done by the competition authorities. Building and operating new power or gas plants requires environmental and planning permits. In Flanders and Wallonia, these two permits are now integrated into a single permit (from recent legislation). Furthermore, large new onshore power plants (more than 25MW) require a federal production permit. This permit is issued by the federal Minister for Energy after he or she has obtained advice from the CREG. Smaller power units, such as solar panels or wind turbines, do not require such permit. Offshore wind farms require an offshore domain concession (granted by the federal Minister for Energy after he or she has obtained advice from the CREG, among others), a marine protection permit and, as the case may be, a submarine cable licence. A supply licence is required to engage in retail electricity or gas supply. Depending on the voltage level and the regional location of the consumer, a federal or a regional supply licence is required. The federal supply licence is limited in time to five years, but it can be renewed indefinitely. The regional supply licences have no time limit. Licensed suppliers must also comply with the criteria laid down by law, such as having sufficient technical and financial capacities. Energy traders do not require any licences to operate on the Belgian market. However, they must communicate certain information to the regulators and the authorities for purposes of market monitoring. Grid operators must be appointed and must receive an unbundling certification proving that they are operationally and legally independent from other market players such as producers and suppliers. To develop their grid, grid operators benefit from easements and can use areas that are public property. If more drastic grid development needs to take place, there are specific expropriation procedures in place. Grid operators must be ownership-unbundled. Furthermore, most grid operators are largely owned by public authorities with the ultimate shareholders being Belgian municipalities. The electricity transmission system operator is a listed company, but almost half of its shares are owned (indirectly) by public authorities. As for the distribution system operators, it is a legal requirement that the distribution grid be fully or mostly owned and operated directly by municipalities or indirectly by inter-municipal cooperative entities. Suppliers are required to have a corporate seat in the European Economic Area (EEA). Producers must have their corporate seat, central administration or main office in the EEA also. The transfer or assignment of a supply permit or licence, or the merger, acquisition or change of control of the holder of such permit or licence, usually requires a prior notification to the authority that has issued the permit in question. For an electricity production permit, the federal Minister of Energy must decide within 60 business days whether the permit can be kept or whether a new permit must be applied for. Before deciding on this, he or she will seek the CREG's advice on the matter. If a new permit must be applied for, the standard procedure applies (approximately three to four months). However, the transfer, assignment, merger, acquisition or change of control can be implemented already. For an intention to transfer, assign or lease an offshore domain concession, a stand-still period of 50 business days applies during which the Minister for Energy's representative will assess whether the transaction is compatible with the retention of the concession. Grid operators are ownership-unbundled, meaning that they may not have any participation in or control over any supplier or producer, or vice versa. This model has been implemented gradually since the 90s, with full ownership occurring since the beginning of the millennium. The structure of the industry has therefore not changed significantly over the past few years (except for some mergers and new players on the supplier and producer sides – see below). Grid operators have not only a natural but also a legal monopoly on the grid operation. The reverse side of this monopoly is the obligation for them to grant non-discriminatory third-party access to producers, suppliers and off-takers who meet the necessary legal and technical requirements. The grid codes set out which technical and legal requirements (e.g., signing of an access responsible party (ARP) contract) must be met by grid users to have access to the grid. The grid codes are being revised to comply with the netcodes (EU regulations jointly developed by the European Network of Transmission System Operators for Electricity, the European Network of Transmission System Operators for Gas and the Agency for the Cooperation of European Regulators). Grid tariffs must be approved by the regulator. The transmission grid tariffs are approved by the CREG, while the distribution grid tariffs are approved by the regional energy regulators. The grid operators have to draft a tariff proposal based on the tariff methodology (general framework) developed by the regulator. The grid tariffs are set for four to five years (the regulatory period), except for the grid tariffs for the LNG terminal, which are set for 20 years. The tariffs of the transmission system operator are principally based on a cost-plus model, while the distribution grid tariffs are more incentive-based; for example, in Flanders there is a specific stimulant to preserve the quality of the services by the Distribution system operators (DSOs). The costs that the grid operators can influence (such as public service obligations) may be integrated fully into the grid tariffs. There is no specific regulation concerning the protection of critical energy infrastructure. However, after an attempt by China State Grid to obtain a participation in the Flemish DSO Eandis, and related transactions, Flanders is considering introducing a legal basis for ministerial approval of participations in critical energy infrastructure by non-EU companies. With regard to cyber security, it is up to each player to implement adequate software and hardware systems. This is monitored by the energy regulators. Data exchanges between grid operators, suppliers and ARPs happen by means of the data management system MIG. Access to and import of goods into the nuclear power plants is monitored by the Nuclear Safety Agency and the Belgian State Security Service. The opening up of EU electricity markets has led to the introduction of a power stock exchange in Belgium: BELPEX, in short, is the physical power exchange for electricity supply and off-take on the Belgian hub and was established in Brussels in 2006. BELPEX facilitates anonymous, cleared trading in two different market segments, namely a day-ahead market segment (DAM) and a continuous intraday market segment (CIM). BELPEX's day-ahead market segment is coupled with the APX in the Netherlands and the United Kingdom, the EPEX Spot in France and Germany, and the Nord Pool Spot in the Nordic region. The intraday market segment is coupled with the APX in the Netherlands and the Nord Pool Spot in the Nordic region. The futures market is organised by the ICE Endex through the 'ICE Endex Belgian Power Baseload Futures' module. The futures market for gas is organised on the ICE Endex (under the 'ICE Endex ZTP Natural Gas Futures' module in monthly, quarterly and annual nominations) and on the PEGAS (the 'SEA' module in monthly, quarterly, season- and yearly-nominations and the 'ZTP' module in monthly nominations). ICE Endex uses 'MW' as a unit, PEGAS uses 'MWh' for ZTP and ZEE 'therms'. The gas spot market is organised on the ICE Endex (the 'ICE Endex ZTP Natural Gas Daily Futures' module for the H zone) and on the PEGAS (the 'PEGAS Spot ZTP', 'PEGAS Spot ZTP L' and 'PEGAS Spot ZEE' modules). On the power market, the ARP is responsible for maintaining a quarter-hourly balance between total injections and total withdrawals of the grid users in its portfolio. The ARP can be a producer, a major customer, an energy supplier or a trader. Each ARP is able to exchange energy (import or export) with a view to maintaining a balanced portfolio. Annual, monthly, daily and intraday capacities are allocated by means of different allocation mechanisms. The annual and monthly capacities are allocated by means of explicit auctions. At such auctions, the ARP can acquire the right to import or export a certain volume (in MW) of power for each hour of the year, month or day in question. The transmission system operators (TSOs) in 17 countries of the European Union have created shared rules governing these explicit auctions. The auctions are organised through a jointly created entity called Joint Allocation Office. Daily capacity is allocated to market players through an implicit allocation mechanism (whereby energy and interconnector capacity are seen as bundled products). Since October 2016, the intraday capacity is allocated via an implicit mechanism based on continuous trading on the intraday markets of EPEX by means of the M7 trading platform. When the ARP has acquired capacity through the explicit allocation mechanism, it must nominate or schedule the volumes it wishes to import and export: it must submit a nomination to the TSO of the exporting country and one to the TSO of the importing country. The system operators check to see that the details of the two nominations match. For implicit capacity allocation, the ARP does not have to nominate its import or export by itself. The clearing house of the power exchanges organises the cross-border shipping. Capacity obtained by a participant can be resold or transferred via the secondary capacity market. Energy market rules are set out in the respective regulation. Market monitoring is done by the regulator. To have access to trading activities, traders must enter into some kind of participation agreement with the hub operator and usually also provide some kind of financial guarantee. Gas traders must also enter into the standard transport contract with Fluxys. Depending on the nature of their activities, electricity traders might have to conclude an ARP agreement with Elia. Electricity generators can either enter into direct, private contracts with suppliers and traders or sell their electricity on the wholesale market (over the counter or on the stock exchange). There are three Belgian gas hubs: Zeebrugge Beach, ZPT (H) and ZTP (L). Trading on these gas hubs previously required the signing of a HUB Services Agreement. However, the HUB services have recently become part of the standard transport contract of Fluxys. The user can submit nominations for ZTP Notional Trading Services, ZTPL Notional Trading Services or Zeebrugge Beach Physical Trading Services. There are regulated tariffs for the use of these HUB services. Following the liberalisation of the energy market, end consumers are free to choose their electricity and gas suppliers. To protect the consumer from any negative effects as a result of the liberalisation, the federal minister for consumer goods, a majority of the suppliers and the consumer organisation entered into an agreement setting out good practices and consumer protection measures. This agreement is regularly updated. Furthermore, the regional governments set up a system of social obligations, of which the most important one pertains to maximum pricing, obliging electricity and gas suppliers to supply energy at a fixed price to certain consumers. This price is set by the regulator and adjusted every six months according to the lowest commercial tariff on the electricity market. Only protected and low-income residential consumers or those in a vulnerable situation benefit from this lowest commercial tariff. These protected consumers are placed on the social tariff automatically, regardless of the supplier they choose. To ensure that every person can live in a dignified way, a DSO must always provide a minimal supply of electricity and gas to consumers, even if the bills are not paid or if the budget meter credits are exhausted. However, the consumer must still pay the cost of this minimal supply. DSOs are only allowed to terminate this minimal supply of electricity and gas in very restricted circumstances. These circumstances are set out in more detail in the respective legislative decrees relating to the sector. In Flanders and Wallonia, the installation of a budget meter is expected in certain circumstances. A budget meter is a device that can limit the supply of electricity and gas, and that is paid for in advance. Demand side management and energy flexibility are expected to become more and more important, hence increasing the role of aggregators. In the summer of 2017, a legal framework for commercial energy flexibility was introduced. Each end-consumer has a right to valorise his or her own energy flexibility. To this end, he or she can enter into a contract with an electricity supplier or with a flexible service provider, who in turn must have an ARP or similar contract with the grid operator. Each end-consumer is also the holder of its grid data. In the draft EU Winter Package, demand-side management also has a prominent role. Smart meters and dynamic electricity price contracts should foster the development of demand-side management, allowing consumers to adapt their consumption to real-time price signals. The different regions are also developing their own legal framework for technical flexibility. The Renewable Energy Directive imposes on Belgium a target of 13 per cent of renewable energy consumption by 2020. This target has been further broken down into separate targets, because renewable energy (except for offshore energy) falls under the individual regions' legislative powers. Furthermore, in 2015, Belgium signed the United Nations 2030 Sustainable Development Goals, which set a target of 18 per cent of renewable energy consumption by 2030. Reaching this target can be feasible, despite unfavourable geographic and weather conditions in Belgium, but this will require political cooperation between all of the different Belgian entities. The principal legal instrument for the promotion of investment in renewable energy sources is the green certificate. Each Belgian region has established its own green certificates system. In Flanders they are called green power certificates and CHP (combined heat and power) certificates; and in the Brussels Capital Region and Wallonia they are called green power certificates. There are also federal green power certificates that are awarded to offshore wind parks and offshore hydro-plants. For the production of geothermal green heat, subsidies are granted through a half yearly call-system. While the Flemish green power certificates and CHP certificates are awarded on the basis of the green electricity generated (corrected by a banding factor), the Brussels and the Walloon green power certificates are awarded on the basis of CO2 savings. Each licensed supplier must submit a certain number of green power certificates, depending on the amount of electricity supplied through the quota obligation. Suppliers can meet their quota obligation by either producing renewable energy (for which they are granted green power certificates) or acquiring green power certificates on the market. Producers of green electricity are granted green power certificates, which they can in turn sell on the market. However, green electricity producers in Flanders and Wallonia can also sell their green certificates to the DSOs (Flanders) or the TSO (Wallonia) at a fixed price. Hence, a minimum price is guaranteed to the renewable energy producers in these two regions. By Decree of 10 March 2017, the Flemish government adopted a (limited) legal framework on district heating networks. The date of entry into force of this Decree has still to be determined by the government. Rational Energy Use (or energy efficiency) falls under the legislative powers of the regions, but the federal government provides the regions with supporting measures on this. The allocation of legislative powers in the field of energy has made it necessary to organise a consultation between the regions and the federal government. This consultation takes place as part of the Interministerial Conference for Economy and Energy. The Buildings Directive 2010/31/EU has been transposed into law by all three Belgian regions. Increased energy performance for buildings is promoted by the regions through energy premium schemes and through certain fiscal measures. Each region has its own variety of schemes and measures for energy efficiency. Besides, several investment funds and banks are experimenting more and more with energy-saving contracts in the private market. The use of energy saving contracts is encouraged by the European Union, the Belgian federal government and Belgium's regional governments. The value of the green certificates depends on the technology that is used to generate the renewable energy. Technologies that have become common, such as onshore wind turbines and solar panels, receive fewer euros per MW than more advanced technologies. Innovations may, under certain circumstances and conditions, also benefit from premiums and investment subsidies. Following the potential from the geothermal energy projects in the northeast of Belgium, the Flemish legislature has amended the Decree of 8 May 2009 on Deep Subsoil. More particularly, a licencing system has been introduced for prospecting and extracting geothermal energy. The licence holder is given real rights, including expropriation rights, if necessary, for building the necessary infrastructure for its geothermal activities. Although the text of the amended decree has been ratified by the Flemish parliament, this amended decree has not yet entered into force. The Flemish legislature has also introduced a guarantee to cover the geothermal risk, which should foster the development of geothermal energy. Smart metering technology is expected to be gradually rolled out in Flanders as from 2019. No regional initiatives are currently undertaken for Wallonia or the Brussels Capital Region. In 2003, Belgium decided to phase out nuclear energy and dismantle all seven nuclear power plants after 40 years of operation. This means the last nuclear power plants would be dismantled in 2025. The different Belgian governments are currently negotiating an Energy Pact, which would (finally) result in a long-term energy policy for Belgium. On the gas market, the gradual depletion of the Groningen natural gas field has prompted the Dutch government to completely phase out low calorific natural gas exports to Belgium and France between 2024 and 2030 and to Germany between 2020 and 2030. In view of this situation, Belgium is preparing to switch to natural gas from other sources (high calorific natural gas, or H-gas). Synergrid, the federation of electricity and gas system operators, has drawn up a technical methodology and a road map for this, which were discussed with the federal authorities, the CREG and the regions in early 2016. Fluxys Belgium has elaborated the Synergrid roadmap in its 10-year investment plan and is on track for completing the conversion on schedule in 2029. Within its territorial sea and EEZ, Belgium is further developing offshore energy activities. Offshore wind farms used to be heavily subsidised by means of green certificates. Following the examples of offshore wind farms in the Netherlands and Germany that operated without any support by the tax payers, a deal was struck with the three youngest offshore wind farms, Mermaid, Seastar and Northwester 2 (offshore domain concession granted, but not yet operational), to reduce the amount of offshore green certificates that would be granted to them. In the summer of 2017, the Belgian legislature also approved the legal framework of the Modular Offshore Grid. This is an offshore part of the electricity transmission grid to which the latest offshore wind farms would be connected. On the M&A market, the most notable deal of 2017 was the sale of Eni Belgium to Eneco. Following this deal, Eneco became the third largest electricity and gas supplier of Belgium, ranked under Engie and EDF Luminus, and has a market share of about 12 per cent. The Belgian energy market is the result of the implementation of the EU energy liberalisation packages. This has resulted in liberalised energy markets that are gradually evolving into one EU internal energy market. The EU Winter Package (draft legislation) is to further foster such internal energy market. The liberalised energy market, in combination with zero-marginal-cost technologies, has lowered commodity prices for electricity and gas significantly. However, the shift to a carbon-free economy and the decentralisation of the energy system (owing to decentralised renewable energy generation) has led to increased grid tariffs and taxes to be paid for renewable support schemes. This has led to an overall higher invoice for the end-consumer. To protect the energy intensive industry, the Belgian legislature has created exceptions for large energy consumers. These exceptions are under increased scrutiny, however, by the European Commission for alleged illegal state aid. Energy storage, geothermal energy and hydrogen are expected to likely be the biggest game changers in the coming years. From a contractual point of view, corporate power purchase agreements are becoming increasingly frequent on the Belgian energy market. The NEMO interconnector, linking the United Kingdom with Belgium, is expected to become operational in early 2019. With Brexit following soon thereafter, specific technical and legal issues could arise. 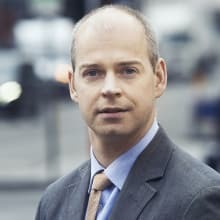 1 †Wouter Geldhof was a partner at Stibbe. 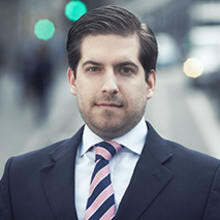 Cedric Degreef and Marthe Maselis are associates at Stibbe.